The side panels are secured with notches and rails, and have thumbscrews and small handles to make releasing them relatively easy. On the inside, we find some fairly thick noise dampening foam, although only within the extruded sections so as to stop it reducing the available space inside for cable routing or CPU coolers, for example. The entire inside of the roof is also covered by the same stuff. The ODD covers clip out from the inside easily enough, but if you want a bit more space you can pull the front panel off with a firm tug and since the I/O panel is screwed on separately it doesn't bring a mess of cables with it. 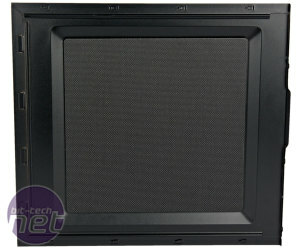 The front panel also has the same noise insulating foam behind it, even on the back of the ODD covers. 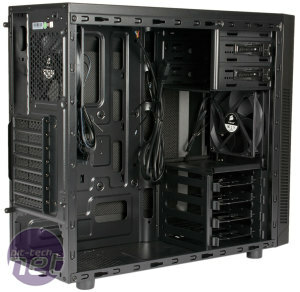 Internally the case is very similar to the Spec-01, which is no bad thing. 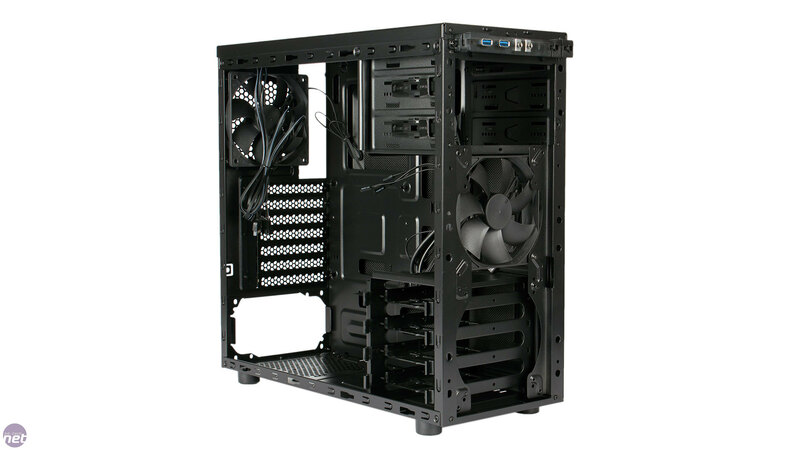 We find pre-installed motherboard mounts with an extended middle one to hold your board in place, as well as a good-sized CPU cooler cutout, a full set of black sleeved cables and small rubber feet of the PSU to rest on. 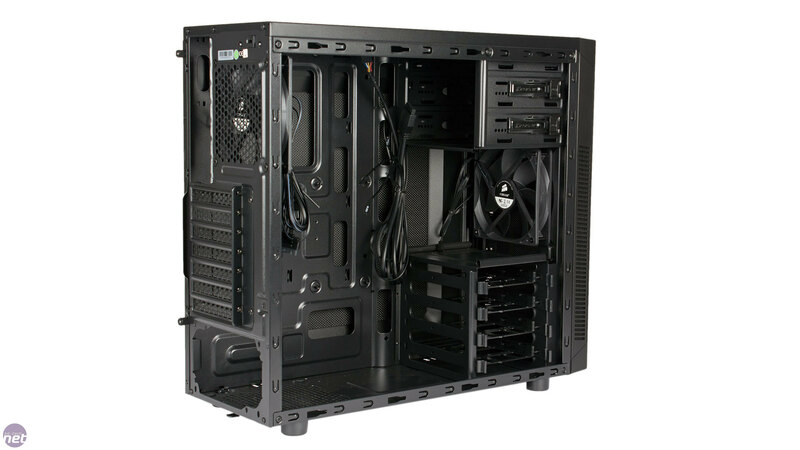 While it does of course have the solid front panel to contend with, the front fan's airflow is unrestricted on the inside, as the sole drive cage is low enough not to impede it – this also allows extremely long graphics cards to be installed. 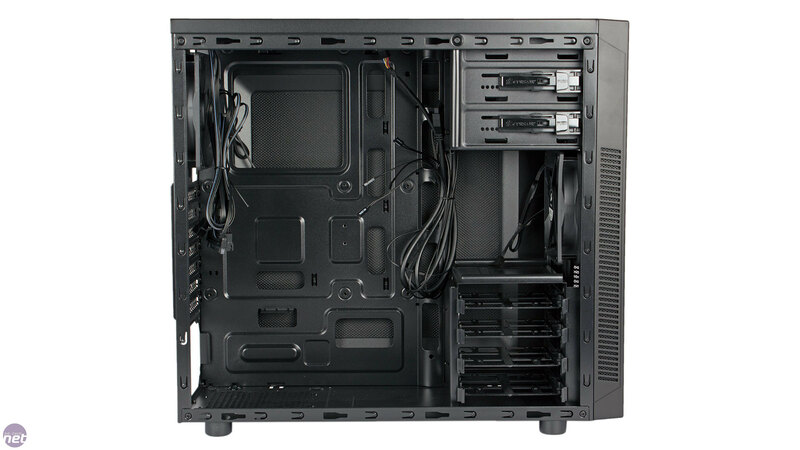 It's worth noting that while the pre-installed fan is fitted on the inside of the steel front panel, if you want to upgrade it to a 140mm model or use the lower fan mount you'll need to fit it to the outside – there's enough room in the plastic front panel to allow for this. 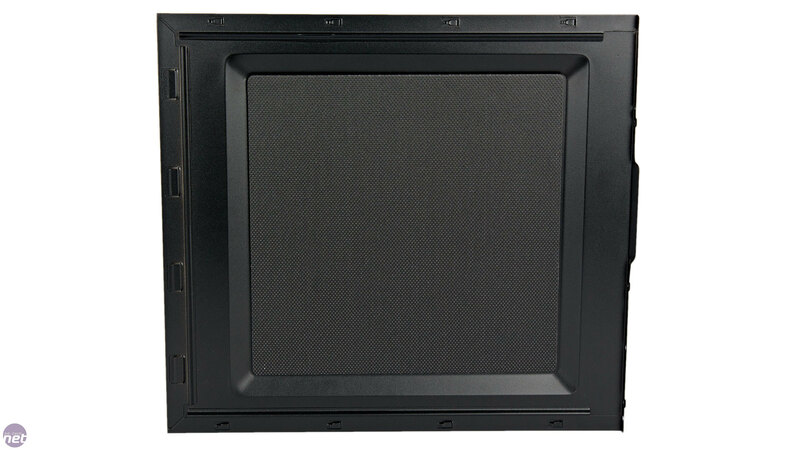 Optical drives simply slide into place, with the single-sided plastic clip automatically locking them in. 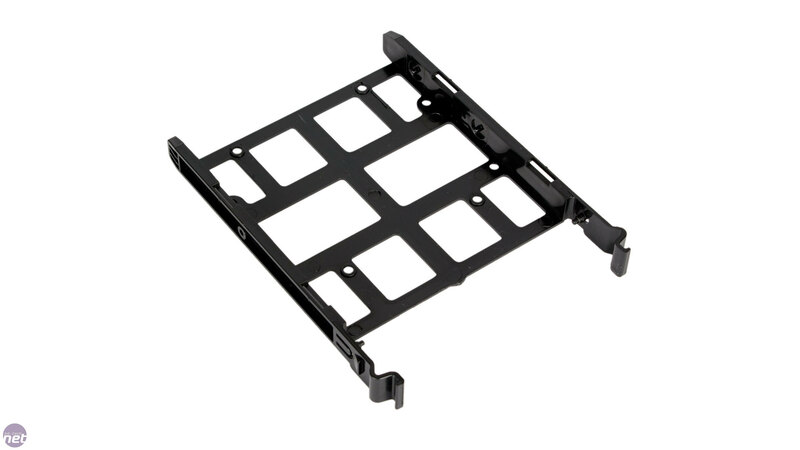 Of course, you can add screws if you don't find this to be a tight enough fit, and likewise for 3.5in HDDs, which clip into place in the plastic drive trays (which don't have any anti-vibration around the pins). For 2.5in devices, it's a standard screw-based affair. 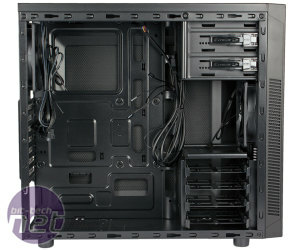 The fan controller requires a SATA power connector, which allows it to power up to three 4-pin fans. The bundled case fans are themselves 3-pin models, but this does mean you could connect your CPU fan (or fans) without issue. 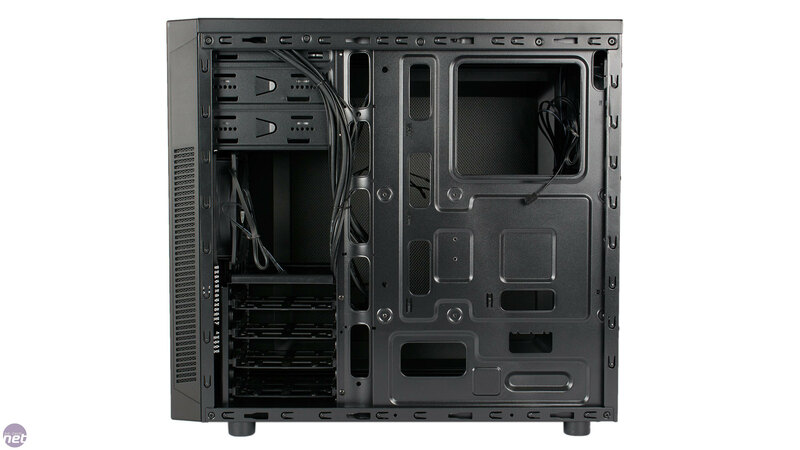 Speaking of CPU coolers, Corsair's website lists the Carbide 100R as having just 150mm of CPU cooler clearance, but our Gelid Tranquillo (153mm tall) fitted with some room to spare, so we'd say up to at least 160mm should be fine. 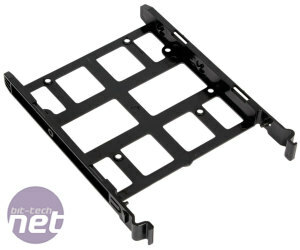 As with the Spec-01, the front HDD cage can be entirely removed if you so wish, as it's held in with eight screws. 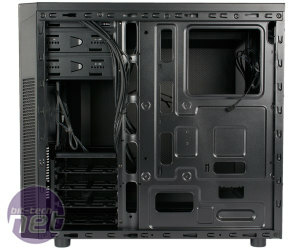 Unfortunately, there's little reason for most users to do this; there's nowhere to relocate the drive cage to, and the space between the case floor and bottom of the ODD cage is too small to allow a 240mm radiator to be installed once the extra height for tubing holes are accounted for – even one of Corsair's AIO liquid coolers would be too tall. 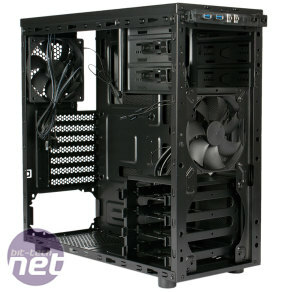 Nonetheless, the removable cage does make the case a little more mod-friendly; you could potentially cut away the ODD cage to make room for a radiator, though you'd be leaving yourself with very little room for internal storage. 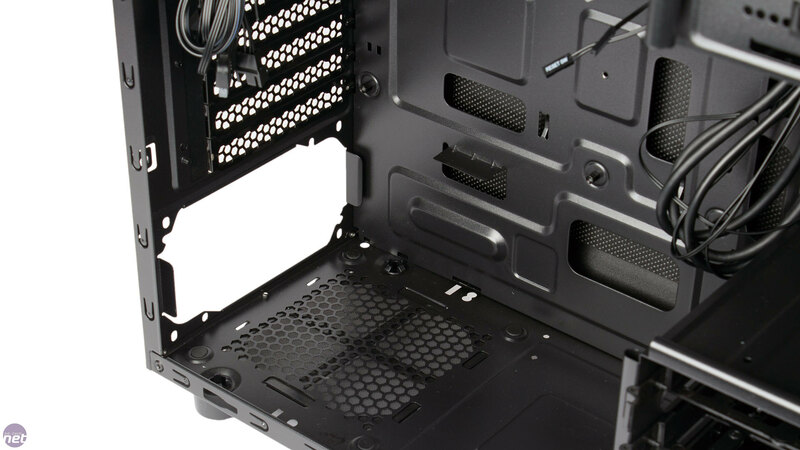 For cable routing, there's a good selection of holes, and we especially like the indented channel and the fact that Corsair has included a number of holes that cater better to users of micro-ATX motherboards. However, we would have traded this for an easy way to route cables over the top of the motherboard. With a bit of fiddling, we were able to get the thin fan controller cables over our board and through the hole in the top corner, but the thicker EPS cable was too tight a fit. There are also no rubber grommets on the cables, though as we've said before it's not often you see this feature in the budget case market. Finally, the noise proof foam reduces available space – as mentioned, the extruded panel helps to combat this, but it was still a squeeze getting our side panel back on properly.